Whomp whomp. 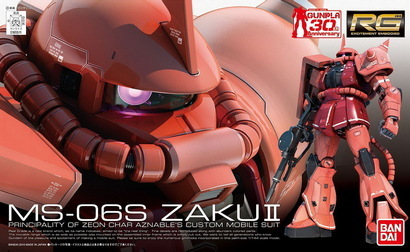 There're no Char's Zaku IIs for sale. The kit's build is the same as all other Real Grades, but I had trouble when putting together the power cables, the small beads don't let the cables flex very well and they feel like they will pop off if touched too much. MS-06F/J "Zaku II" MS-06F/J "Zaku II"